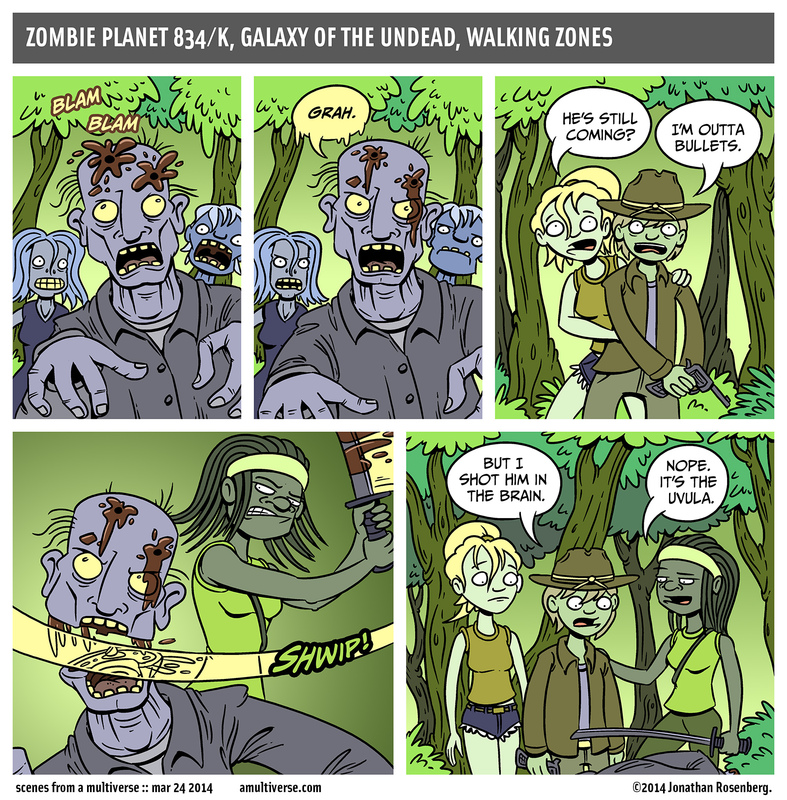 Did you ever notice that nobody in a zombie flick ever says the word 'zombie'? Weird. I hope you enjoyed today's comic! I am going to make some more comics now. Bye!